University of Sheffield has the largest Dutch department in the UK with over eighty students enrolled in their programmes, offering degrees in Dutch. University College London (UCL) houses the largest centre for Dutch studies in the English-speaking world and offers degrees in Dutch. 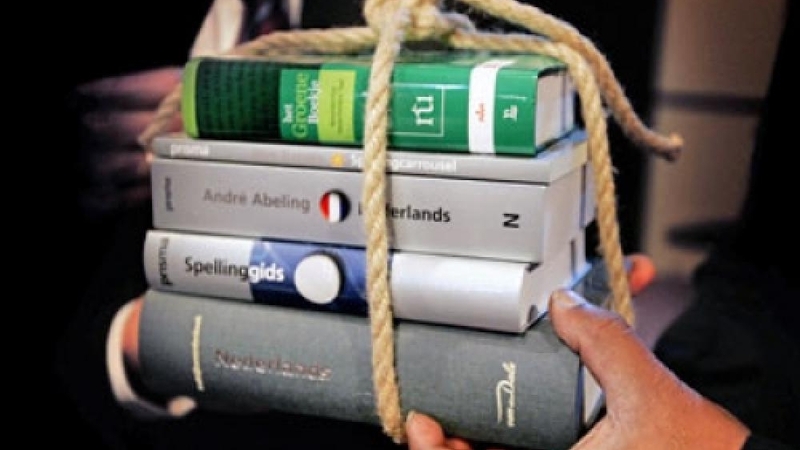 University of Nottingham is phasing out its courses on the Dutch language and literature, but currently still offers it as part of its German degree. Universiteit van Westminster offers evening courses in Dutch. Trinity College Dublin offers evening courses in Dutch. The General Representation contributes to Dutch and Low Countries Studies by supporting the activities of universities and the Association for Low Countries Studies. Flemish authors and academics are presented for lectures, translations and poetry readings.